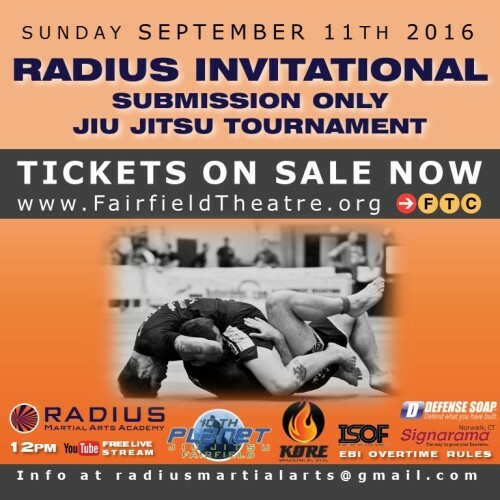 The Radius Invitational Submission Only Jiu Jitsu Tournament will take place on September 11th at 12pm. 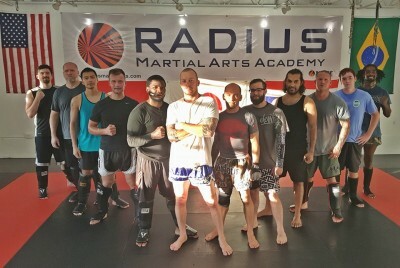 There will be a winner-takes-all 8 man tournament at 190 lbs as well as two special matches showcasing some incredible adult and child female competitors. The event will take place at The Warehouse at Fairfield Theatre Company in Fairfield, CT. Spectator tickets are $25 and are on sale now HERE. 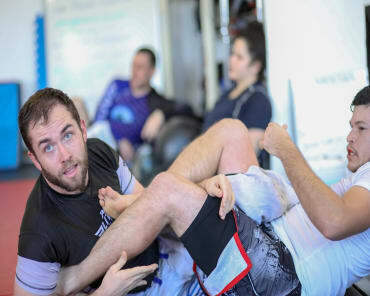 We will be featuring 8 of the best grapplers we could find to compete in 10 minute submission only matches with EBI overtime rules and all submissions legal. Come support your local businesses and come watch these athletes showcase their skills. Stay tuned as we start releasing the competition field. 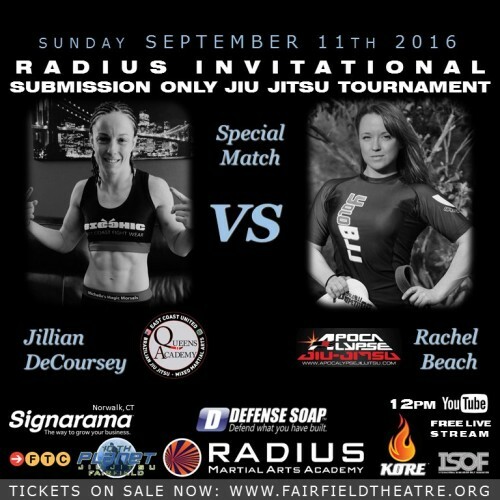 We just released our first special match, featuring brown belt Jillian DeCoursey out of East Coast United - Queens Academy vs brown belt Rachel Beach out of Apocalypse Jiu Jitsu.